As a true light seeker, one must make the most of any opportunity to visit a lighthouse or two! So, that is exactly what Bob and I did this weekend. Our trip began in Manchester. While it’s not the most common stomping-ground for those looking for lighthouses, it was the location of my brother’s wedding. It was a fantastic day, which went without a hitch. The bride looked absolutely stunning and it was great to see my brother so grown-up! Following my brother’s wedding, which took place on Friday, we flew to Newquay for the wedding of one of Bob’s friends who lives near Penzance. After our arrival we had some spare time and so decided to head for Lands End to see Longstone lighthouse, which is around a mile/mile and a half off of the coast. That was my reason for going there anyway. I think Bob, who had been to John O’Groats just two days before, was keen to complete the “end-to-end” journey. Being at Lands End and looking out towards Longstone made me want to get closer and I know that Bob has some crazy designs on reaching these rock lighthouses, of which there are a few in the Cornwall and Devon area. Realising that we were running slightly short on time we grabbed a quick Cornish pasty (it simply had to be done) and, as decently as we possibly could, got changed into our smart attire in the car park at Lands End. Using Bob’s GPS device and my GPS mapping on my phone we made it to the church in time to sit down a matter of seconds before the bride walked in. I’m not entirely sure how we managed it! Doug and Mary’s wedding was lovely and it was great to meet some of Bob’s friends. Sunday was reserved for lighthouses (and getting me to Bristol for my journey back to London). Staying in Newlyn, just down the road from Penzance, we were able to see the lights on the ends of the piers in both places. While the pier at Newlyn was locked up, we were able to fully “bag” the Penzance light (touching it). Our next stop was Lamorna Cove where we followed the South West coastal path along to Tater Du lighthouse. This took a little longer than planned and involved a little trespassing (as usual), but it was certainly worth the walk. 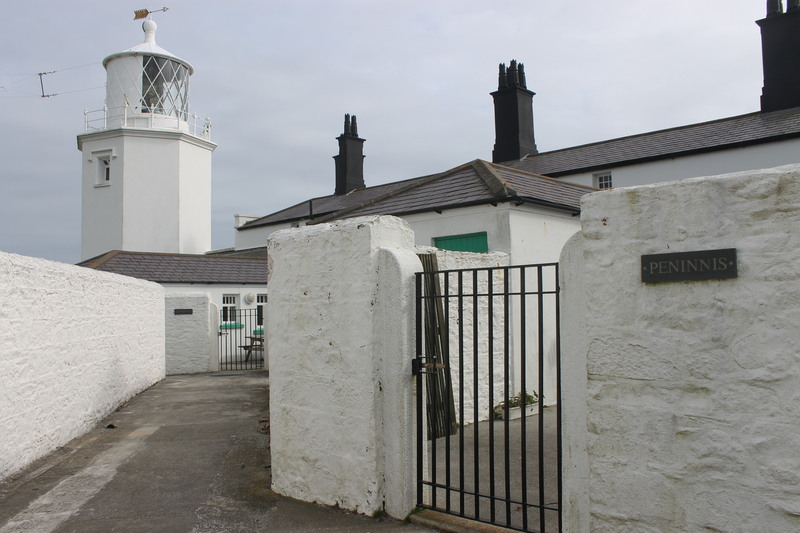 The lighthouse is located at the bottom of 198 steps leading down from the coastal route. It’s in a fantastic location and the surrounding coastline is really impressive. It’s not the easiest of lighthouses to reach by any stretch of the imagination, but it’s certainly an interesting one to see. We then travelled to Pendeen where the short, white lighthouse sits near the edge of the cliff. The wind had picked up a little by the time we arrived, but we went inside the grounds of the lighthouse and had a bit of a look around. There are some great views along the coast from the lighthouse. Godrevy Island was our next stop and the very kind National Trust man allowed us to drive on through to quickly see the lighthouse without having to pay the £3.50 parking charge. Godrevy lighthouse looks stunning sitting on the small island just off of the coast. I would certainly like to re-visit at some point when I have more time to get a little closer to the island. 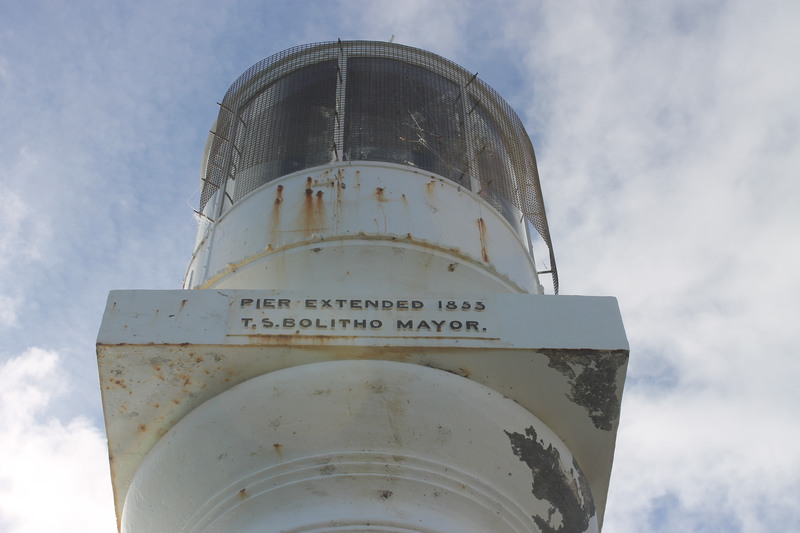 We then headed south towards Lizard, where there is one operational light and another tower without the lantern. Again, we wanted to avoid paying the parking charges, so we parked in the nearby youth hostel car park. The exhibition, strangely, is closed at weekends during September, so no luck there, but it was nice to be able to wander around the grounds. Of course, to bag the lighthouse we needed to touch it and, to do so involved a little trespassing, but we were quick and no one saw us (as far as we were aware) so it was fine. We considered heading to Lizard Point, a short distance away, as it’s the most southerly point of mainland UK, but time was not on our side. We grabbed an authentic Cornish ice cream each before we left Lizard, which was lovely (sticky toffee fudge was my ice cream of choice, while Bob went for rhubarb crumble).